Tanzania’s leading rights group has called on the government to stop harassing MPs following the arrest of three opposition lawmakers. In a statement, the Legal and Human Rights Centre (LHRC) accuses the government of violating political and civic rights. 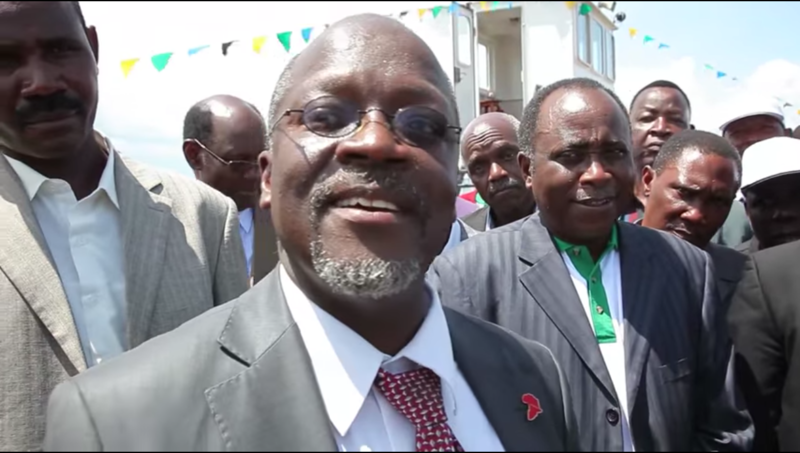 Three opposition MPs have been arrested over the past week on the grounds of insulting President John Magufuli. Opposition MP Tundu Lissu was arrested on Tuesday for allegedly insulting President John Magufuli. This came after he revealed that Canada had seized a commercial aircraft purchased by the government due to unpaid debt amounting to $38 million, which is allegedly owed to a Canadian engineering company. Lissu is a lawyer and deputy head of Tanzania’s main opposition party, Chadema. This is the sixth time he has been arrested this year. In July, he was charged with hate speech for calling Magufuli a “dictator” and criticising his government. “using insulting words that are likely to incite ethnic hatred”. During his trial, Lissu was accused of “using insulting words that are likely to incite ethnic hatred”. This week, fellow Chadema lawyer, Ester Bulaya, was also arrested while MP Godbless Lema was arrested for taking seven minutes longer than the allocated time to speak at a rally. Rights group LHRC has called on the government to put an end to these arrests and respect the rights of political parties. “Being the member of a different party is not a crime,” the groups says in its statement.